Angers winger Nicolas Pepe has emerged as a surprise target for Watford and Hull City in the January transfer window. According to the football transfer rumours in French Media, Watford and Hull City are set to beat Liverpool to Angers winger Nicolas Pepe. Since his arrival from Poitiers in 2013, Nicolas Pepe has scored two goals and provided one assist in 27 games for Angers. 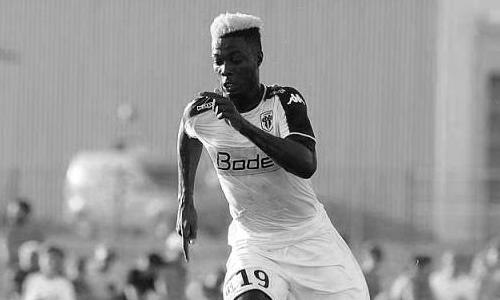 Nicolas Pepe has a valid contract with Angers until June 2019. The Ivory Coast international has been in fine form for Angers this season and that is the main reason why the 21-year-old was on the radar of Liverpool and Everton, but according to the French Media, Watford and Hull will fight in final phase to finalize a deal for his services. Euro Football Rumours were informed that Watford and Hull City have already offered around 9 million euros for the Ivory Coast international services. It’s up to Angers representatives to accept the offer. How strong that interest is and whether Watford and Hull City will complete a January move remains to be seen but it is certainly one worth keeping an eye on.